Abyss - like a deep cold ocean and bubbles rising to the surface. This coin is trackable on Geocaching.com with an unique icon. 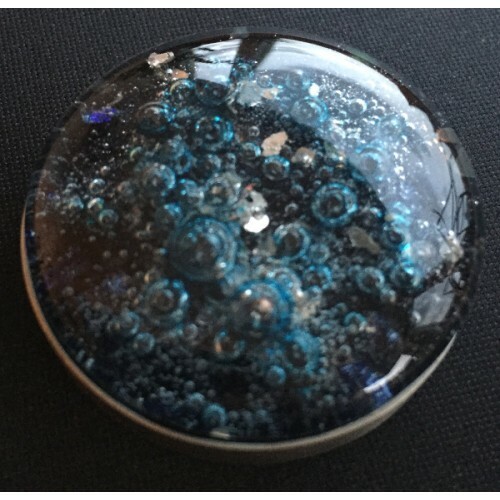 The glass coins are hand made, and glass is a bit unpedictable, so no coin is exactly like another. The coin is delicered in a box.